Q. I drive a Jeep Rubicon/Subaru Forester/H3/VW Syncro 16"/Your-Vehicle-Here. Is my vehicle capable of driving the Traverse? A. Probably. Maybe. Who knows. It will be fun to find out, though! Provided your vehicle is well-maintained and in good running order you likely own a vehicle that is capable of traveling on the majority of the Traverse. 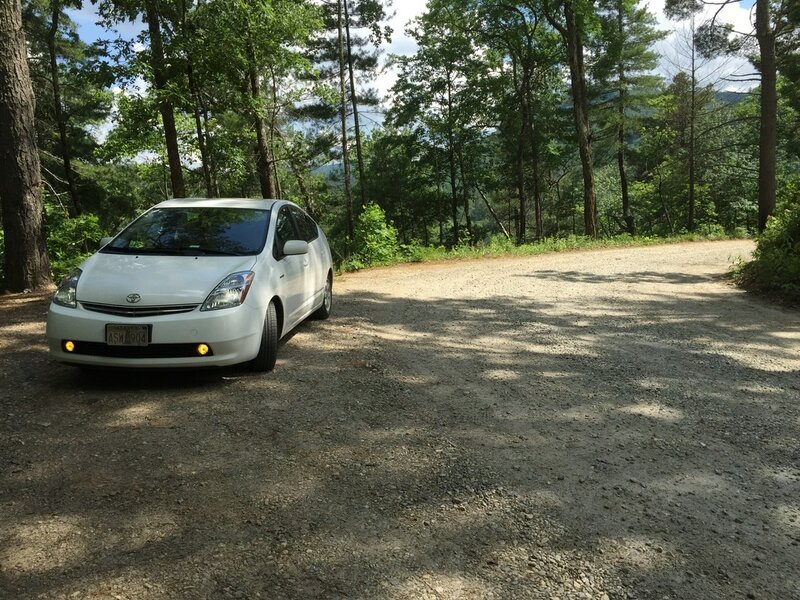 You can even drive a Prius on many of the roads. Now, a better question may be: Should I take my vehicle? Most high-clearance vehicles (some Subarus, for instance) will comfortably handle the ruts and bumps found on the miles of gravel and dirt Forest Service roads. Those who drive 4wd vehicles with suspension lifts and offroad tires will likely be fine on nearly every mile of the Traverse and, depending on road conditions, you may never need to engage low-range. If you use common sense and don't get in over your head, you will likely be fine. This isn't the Mongol Rally, after all and they take the most inappropriate vehicles on terrible roads. Some even survive! Having said that, you have read the disclaimer, right? There are a few water crossings to watch for (Tallulah River usually being the deepest) that would need to be avoided if you are not driving a high clearance vehicle. Also, there are a number of difficult high climbs, off-camber ruts and rocky sections that will require skill, clearance and a capable vehicle. You may damage your vehicle. You could injure or kill yourself or others. When in doubt, back up or turn around and find an alternate road around the obstacle...and always Tread Lightly! Q. How many days should I plan for to complete the entire Traverse? A. Plan on 2.5-3 days to drive the Traverse. With many hiking trails, waterfalls and scenic vistas, you may wish to take longer. Always plan for the unforeseen. Breakdowns can occur, you could run out of fuel, a Sasquatch may tear your steering wheel off and/or you become abducted by aliens. You will be in remote areas with no cell service and not another soul around. You may need to walk for miles to reach help. Use common sense. Plan for a night in the woods if things go pear-shaped. Bring food, water and season-appropriate camping gear. Tell people exactly where you plan to explore and when you plan to return so they can contact the authorities if you don't turn up. Q. When was the last time the Traverse data were updated? A. It's been a while. Years, actually. Hey, it took years of data collection, thousands of miles of travel, and incalculable hours to prepare and publish it all. Did I mention it did this all for free?! To my small group of supporters, I thank you for your generosity. If you would like to contribute, visit the Paypal link found on the Support page. Q. When was the site last updated? A. See above. It's been a while. Roads rarely disappear, though. They may close permanently, temporarily or seasonally and they rarely disappear. Q. The .gpx file doesn't seem to work with my GPS software, what's going on here? A. There are many GPS manufacturers, numerous proprietary interface packages and a whole bunch of iOS and Android GPS apps out there. I simply cannot support them all. This is why I offer a variety of file formats for the user. You're welcome! If you haven't already, take a look at the How To Use page to get started. The most common issue is a software package not allowing the .gpx file to upload onto a particular device. You may need to research solutions. Google is your friend and you will find a variety of free online data conversion packages available.